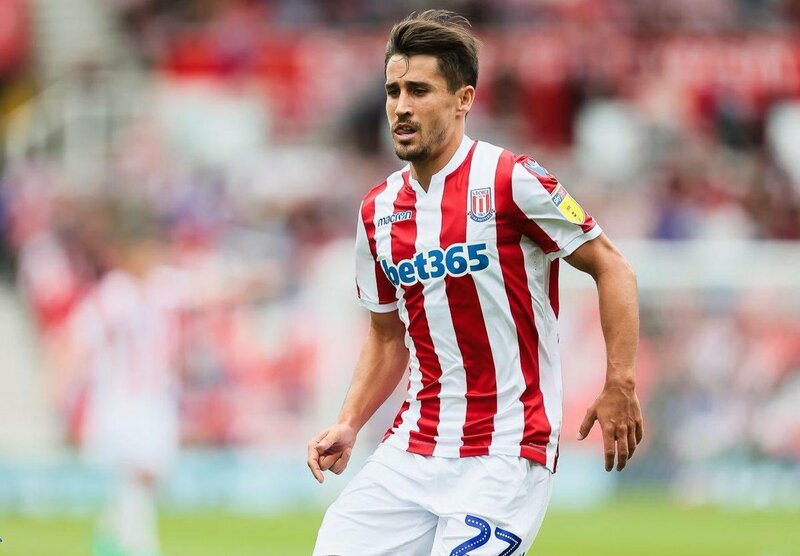 Bojan Krkic situation is one of a failed potential as the player touted by many a decade ago to take the football World by storm has been reduced to a lower league player. The former Barcelona forward has been with English outfit Stoke City since the summer of 2014. Despite beginning his career at the club aplomb with goals and assists the player continued his prior trend of falling by the wayside after starting well. The Spaniard has played for some of the top clubs in Europe including AC Milan and Roma. However, he has not performed at the level required at the clubs which has seen his career stagnate in recent seasons. Stoke City got relegated from the Premier League but have disappointed in the Championship despite having the best squad in the league. The 28-year-old has endured a torrid season as he was not given many chances in the first team under Gary Rowett. Rowett was subsequently sacked and his replacement Nathan Jones has also jettisoned the attacker in favour of other options in the team. Bojan recently revealed that he was the subject of a late bid by West Brom in January but was not allowed to make the move. Speaking to the Stoke Sentinel the 28-year-old forward revealed that he knew of the offer but was not allowed to make the move in January. “He also expressed his frustration believed that the club rejected the move in fear“ of a potential backlash from their fans as the Spaniard remains a favourite at the Bet365 stadium. After this interview by the forward, it looks likely that he would “club in the summer“. Stoke City have no chance of making the playoffs this season and the club would be looking to remove some of the high earners from their wage bill in the summer.